When I started acting I never really understood voice work. Of course during high school drama school we would do the occasional spinal role or lip trill, but it never really clicked that it might actually help my acting. After I left high school I started working with other acting coaches and they kept coming back to my voice. I wanted to learn scenes and monologues and they wanted me to walk around the room singing scales in tights. WHY! It was only when I began performing in bigger theatres and working with professional actors that I started to see I was getting eaten alive by these trained actors. And it wasn’t just there acting. It was how they connected with text, how they expressed that text using their full voices, and how they resonated and articulated in any space. Voice, movement and acting aren’t separate. The first truth you have to accept during your training as an actor is that voice, movement and acting are not three separate fields. They all work together to express the truth of the text and tell a great story. Storytelling is what it all comes back to. If you have tensions in your shoulders that limit how you can tell that story then that matters. If you can’t be heard in a theatre then that matters to the story. If you line droop (lose the energy at the end of your sentences) then you lose the energy of the scene and can unravel a whole production. In Shakespeare’s time, the best seats in a theatre were behind the stage. That’s because the language was what was important, and it was easiest hear from those seats. Nowadays the visual element of theatre has become so converted, but it’s words that are the backbone of storytelling. So, though this may take a while to sink in, trust me. Working on becoming more expressive vocally, will make you a more expressive storyteller. Read great works out loud. 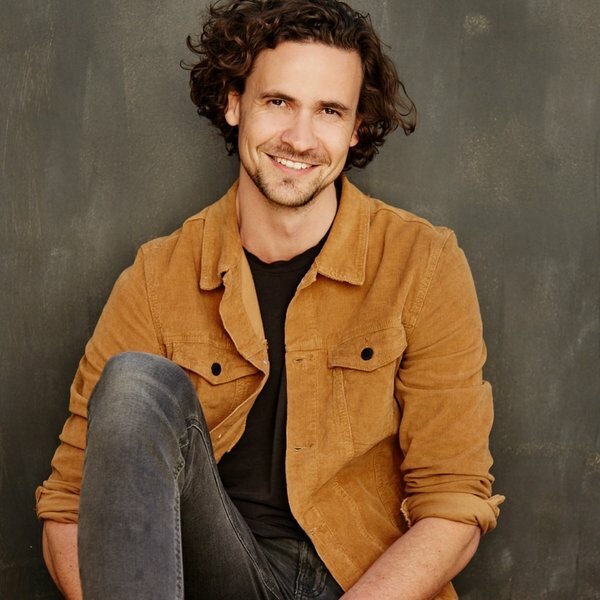 In a recent interview with Damien Ryan, one of Australia’s leading Shakespearean actors and directors, he spoke about how reading Shakespeare aloud is one of the keys to becoming a better actor. The more relaxed and comfortable you become with the language the more fun you can have with it. If it remains an archaic scrabble of words, then when you come to an audition or performance, the audience will hear it that way. The more you work on monologues, poems and scenes from a diverse range of writers the better your text chops become. Projection is a word that gets bandied about in theatre circles a lot. And I hate it. It implies pushing and can lead to some pretty presentational acting. When someone is expressing themselves fully they will be heard. When a mother is stopping their child from running across a busy street they aren’t thinking about their breath support, but my god are they being heard by that child. The key to “projection” is intention. Know who you are talking to in a scene and what you are trying to say. If you commit fully to your intentions you will be heard. There are technical elements to working in certain spaces, but most “projection” issues are solved by doing your acting homework. What you can do to work on unlocking the full potential of your voice is a daily warm up. Include plenty of work on resonance, breath and articulation. These are the key areas to work on if you are struggling to be heard in large theatre spaces. I would argue all vocal issues are acting issues are life issues. If you resolve something vocally you will resolve it in your acting and the way to do that is by resolving it in your life. The voice is intertwined with how we perceive ourselves. If you lack confidence, your voice will often be thin or higher than it naturally sits. If you’re trying to prove something in life, you will often push and strain your voice. If you’re indecisive you won’t get to the end of your line, which is a really common problem with actors. These issues can also be linked to physical issues. Depression and insecurity can cause us to fold inwards and hunch, ruining our natural posture. Or push out our chests in an attempt to be “strong”. Working on these issues and becoming a more open and direct person will allow you more freedom in your acting. I’ve always been a strong advocate for counselling and phycology, where suitable. Working through issues in yourself means those issues don’t slip into every character you play. Hopefully this article has gone some way in motivating you to take voice work more seriously. If you haven’t trained and don’t have a warm up, check out our vocal warm up page. If you do know some great vocal exercises, and you’re just not doing them, start a daily practice – even just 5 minutes each morning. Getting into the habit of humming in the shower is a great start. Remember the value or reading, and if possible, reading aloud. Work on texts that challenge you and push you outside your comfort zone. Start making your voice an asset not a liability. Why should I try to break into the voice over industry?